Our firm has long played a prominent role in our profession. 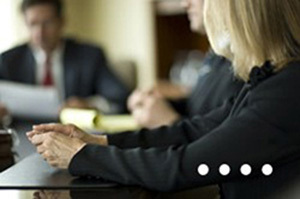 We are active in national, state and local bar associations. Our founder, Clarence Heyl, was President of the Illinois State Bar Association in 1931 and 1932. Two other partners of our firm have since been elected to that position. Several partners and associates have served on the ISBA Board of Governors. One of our partners has recently completed a term on the American Bar Association Board of Governors. Our partners and associates regularly serve as officers and board members of their local bar associations. We are active in specialty bar associations and committees, again at national, state and local levels. Our partners have been elected as Presidents of the Illinois Association of Defense Trial Counsel, the International Association of Defense Counsel, the Federation of Defense and Corporate Counsel, the Association of Defense Trial Attorneys, and Lawyers for Civil Justice. We have served as officers of the Defense Research Institute. Two of our lawyers have served as President of the Illinois Appellate Lawyers Association. Our healthcare lawyers have played leadership roles in the Illinois Association of Healthcare Attorneys and the Illinois Society of Healthcare Risk Management. Our governmental lawyers have served as officers and board members of the Illinois Township Attorneys Association. Our lawyers regularly participate in professional organization sections and committees pertinent to the area of their practice. We have taken leadership roles in activities which serve the bar and our fellow lawyers in many other ways. For example, our lawyers have been officers and board members of the Illinois Institute for Continuing Legal Education, Prairie State Legal Assistance, the Illinois Lawyers Assistance Program, the Illinois Bar Foundation, the Illinois Equal Justice Foundation, and the Illinois Coalition for Equal Justice. Several of our lawyers have also been President of their local Inns of Court organizations which promote professional and social interaction among local judges and attorneys. Our belief is that improving our profession through this type of service is in the best interests of our clients, our lawyers, and our communities.